One of the biggest challenges that smokers face is the difficulty in reducing their number of daily cigarettes or quitting the habit altogether. People who attempt to quit smoking often try a multitude of methods with very little success. One key reason that many have shared positive results with vaping is its similarity to the act of smoking. Here are five ways that explain why it’s worked for so many people. Shop the Most Popular E-Juice Flavors Available Now! The health hazards involved in smoking are mainly centered around the delivery system of the nicotine: the cigarette. Vape devices rely on electronically heated vapors rather than smoke. This means no tar or carbon monoxide is produced. 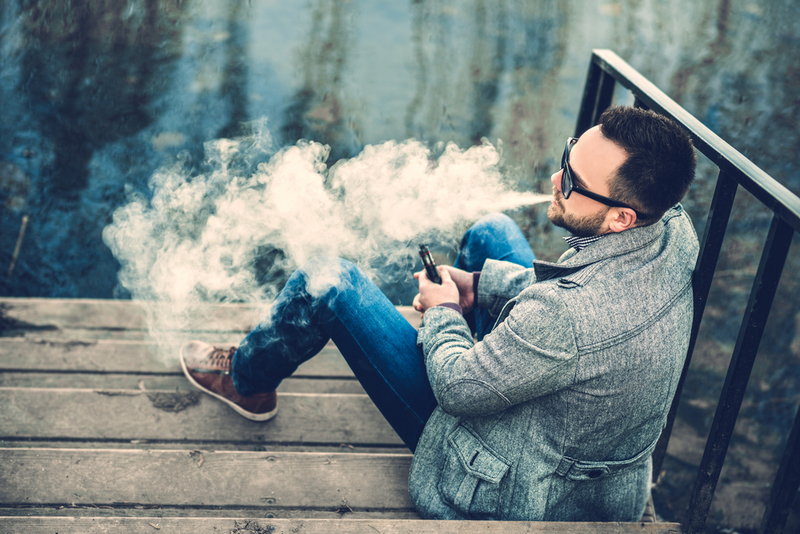 The harmful chemicals that are frequently tied to nicotine are actually associated with the act of inhaling smoke, and experts in the U.K. have estimated that vaping is 95 percent safer than the alternative. By switching to vape options, smokers cut down on the bulk of the risks. Those who switch have typically reported improvements to their health in a short period of time without a debilitating transition. For individuals who are considering vaping in place of their cigarettes, it’s usually recommended to stop smoking altogether. This complete substitution can help to ease the transition off of smoking by providing the nicotine in a safer application. The choices you make with your vaping supplies allow you to adjust the nicotine content. This gives smokers the power to gradually lessen the concentration over time. The decrease can minimize the severity of nicotine cravings and encourage people to kick the habit altogether. Vape cartridges don’t need nicotine; once the craving is near non-existent, you can opt out of products that contain it. One of the most satisfying aspects of smoking a cigarette is the nicotine content. Though vaping still often contains nicotine, it’s incorporated in a completely different way. Even though you’re inhaling vapors rather than smoke, you’re still appeasing that desire to light up without actually doing it. When you reach that point of the day where you feel you need a cigarette to make it through, vaping can help you overcome that dragging sensation. The hours become easier to conquer when you’ve answered your body’s craving, and you get to enjoy the experience in a more personalized and versatile way. E-Cigarettes are an Effective Way to Help Smokers Quit! Vaping offers hundreds of flavor choices to enhance the enjoyment each time you reach for your device. Whether you prefer sour or sweet, you’ll see something on the market that suits your taste and hits the spot in just the right way. You may find varieties that you quickly become loyal to or else have fun trying out different flavors just to mix things up. E-juice bottles are typically quite affordable, encouraging smokers to embrace the concept and experiment with several different kinds until they find one that pleases them. You just don’t get the same taste experience when you use traditional cigarettes. Flavor options that include blends of melon, strawberry, kiwi, banana, and other fruitful aromas make the process even more relaxing. This variety can often make the difference for those who have tried to stop smoking and haven’t been able to. Those who are constantly on-the-go may opt for a device with longer battery life, ensuring that they’re able to vape when they need to. A larger tank size or reusability component offers more convenience for smokers who need to satisfy cravings more frequently. In addition, no device looks the same. This opens the door to make choices that express your personality and showcase your style. These added conveniences make vaping a more desirable option, making it easier for smokers to make the transition. At Smoking Buddha, we’ve got every option you need to make your experience better. Vaping helps smokers by satisfying and even reducing nicotine cravings while offering a variety of e-juice and cartridge choices. Let us help you with all your vaping needs by contacting us with any question you may have.